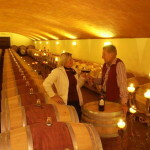 Superb Tuscan Winery and Vineyard for Sale. Totally up to date wine growing, making, production and selling facilities and techniques employed at this state of the art wine estate. located near to Grosseto. 3 Bedroom luxury villa with pool, cellars, production, meerting rooms, canteen, warehousing etc. 45.43 hectares (112.21 acres) with 27.76 hectares of vineyard, 5.53 hectares of olive grove, pasture land, arable land and woodland. The cellar is in modern style and boast a typical rip vault structure in perfect harmony with the surrounding landscape. The bottaia, redesigned in modern style and imagined to be lived in, hosts the oak barrels where the wines are aged and refined. The meeting room offers a beautiful view on the Ombrone valley and could host up to 60 people, while the tasting room with panoramic windows enjoys a beautiful view on the surrounding hills and is equipped with 100 indoor seats and a 40 square-metre professional kitchen . The rooms used for wine-making and the warehouse for wine storage have been designed to carry out at its best the production needs from wine-making to bottling. 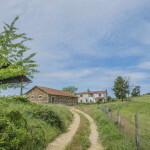 The estate includes 45.43 hectares of which 27.76 hectares of vineyard, 5.53 hectares of olive grove, with a production of olive oil of approximately 2,000 bottles a year, pasture land, agricultural land and fit for seed. 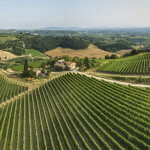 The wine training chosen for vineyards, the majority of which is South East exposed, is the Spurred Cordon and the density is 2.30 x 0.80 m and 2.50 x 0.80 m.
2.00 hectares need to be replanted. 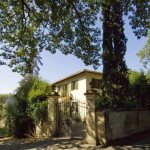 Completely restored, the villa has minimalistic design and original external construction and façades. It includes three bedrooms, one with fireplace and en suite bathroom, two bathrooms, large kitchen with dining room, living room with fireplace and adjoining rooms. The villa is completed by a 48 square-metre annex and an elegant pool with solarium and Jacuzzi, surrounded by a perfectly maintained gareden with 30 square-metre pool house. 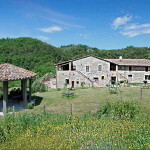 It is possible to buy separately the villa, an ancient farmhouse restored on Roman ruins, which are still visible.